Classic Rummy is a prevalent card game in the Indian subcontinent owing to its widespread popularity which can be traced back to the time when British Empire ruled the nation. 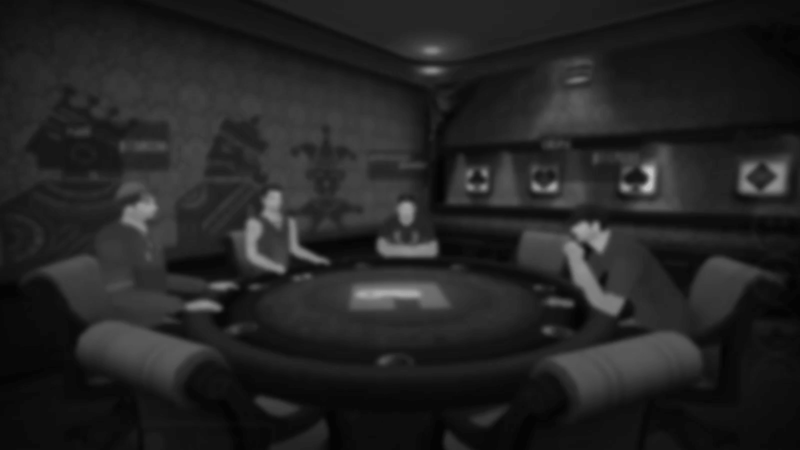 It has grown in popularity especially over the internet on online social casino websites. Classic Rummy is basically about making right combinations in different groups. The basic objective of any player is to build melds in the form of Sets and Sequences. Classic Rummy is a game of skill. It is played with a deck of 52-cards. The players strive to improve their hands by dealing cards throughout the game while adhering to all the rules of the game. Rummy is usually played between 2 to 4 players where each of them has to draw and discard one card at a time in order to make up a 13-card hand of sets and sequences. The dealer shuffles the deck and deals 13-cards face down to each player. The number of cards dealt to each player depends on the number of players. For e.g., two players will be dealt 13 cards each, three players will be dealt 10 cards each and so on. Each player then has the opportunity to discard a card of his own in return of drawing one card either from the discard pile or the stock pile. It is the pile of cards discarded by the players face up on the table. These cards are visible to each player on the table and they always have the option to draw a card from the discard pile during their turn. Stock pile is made up of the cards that remain after the shuffled deck of 52-cards are dealt to the players on the table. The players are allowed to draw a card from this pile as and when their turn comes, and in return, they have to discard a card of their own at every turn. One interesting thing to be noticed here is that you may discard the same card drawn from the stock pile on the same turn, while you canât discard the card drawn from the discard pile on that same turn. However, a card drawn from the discard pile can be discarded at later stages. Joker is a card that is kept face up under the stock pile, so that it is visible to all the players. The cards of similar rank are jokers as well. Apart from a pure sequence, jokers can be used to complete any set or sequence. Melds can either be in the form of a sequence or a set of at least three and maximum four cards. A pure sequence (without the use of joker) is mandatory. The remaining cards can be organized in the groups of sets or sequences, with or without the joker. A pure sequence is, therefore, a group of three or four consecutive cards of same suit, while a set is a group of three or four of a kind of same cards with different suits. In case of 13 cards, players are supposed to make a hand in the groups of 4,3,3,3 cards, whereas the groups are split into 4,3,3 cards when 10 cards are dealt to each player. The basic object of the game is to arrange your cards into a valid combination of sets and sequences before anyone else on the table. A quick example of valid combinations is as shown below. Invalid use of joker in a pure sequence- a pure sequence is meant to be made with cards of the same suit without using joker. Invalid set- Two cards of same suit and same rank are not allowed. Draw- A player has to draw a card on each turn. The card can be drawn either from the top of the stock pile or the discard pile. This card is added to the 13-card hand of the player to make either sequences or sets. The opponent is oblivious of the card drawn from the stock pile, however, if the card is drawn from the discard pile, the opponents gets to know. Discard- After adding a card, the player has to drop or discard one card from his hand to balance the total number of cards in his hand back to 13 once again. A card drawn from the stock pile can be discarded on the same turn, while it is not the case with the discard pile. When a player decides to declare, scores are counted for each player according to their melds. When a player successfully completes organizing his cards into valid sets and sequences, he/she can declare his cards. If a meld does not contain a pure sequence, then that particular meld is automatically canceled and zero points are allocated to the concerned player. The player who declares the hand first and has all the right groups is declared as the winner of that particular hand. Gamentio is a 3D online social casino game website which hosts Rummy, Poker and Teen Patti. Gamentio Rummy is an evolved version of Classic Rummy. Play your favorite Classic Rummy game and experience the gameplay in 3D at Gamentio.